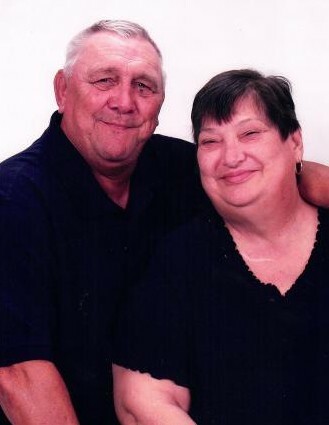 Obituary for William "Bill" Carleton | Cremeens Funeral Homes, Inc.
William “Bill” Carleton, 76, of Racine, passed away peacefully, on Wednesday, March 20, 2019 in the Holzer Medical Center Gallipolis. Born January 21, 1943 he was the son of the late Betty Brinker VanMeter. Bill worked on the Ralph and Robert Lee Farm as a child he then hauled feed for Landmark but he spent most of his career at J.D. Drilling Company. He also served in the US Army and was a member of the Racine Post 602 of the American Legion. He is survived by his daughters, Angela “Angie” Nelson and Jennifer “Jenny” (Shaun) Seth, of Long Bottom, grandchildren, Kase Nelson, Caelin Seth, and Corey Seth. A sister, Margaret Ann (Arthur) Johnson, an Aunt, Elva Barnitz, a niece, Sheryl (Sean) West, a Nephew, Patrick (Lisa) Johnson, Brothers-in-law, Brady Sayre, Larry (Delores) Sayre, Clyde (Debbie) Sayre, and Terry (Sharon) Sayre. In addition to his mother, Bill is preceded in death by his wife, Cathy Lynn Carleton, whom he married on July 31, 1970 in Racine and preceded him on January 12, 2019, and his grandparents who along with his mother raised him, Dean and Eunie Brinker.
. A joint graveside service with his late wife will be held in the Carmel Cemetery Saturday April 13th, 2019 at 2:00PM with Jay Rees & John Westover officiating.